Unfortunately, the USA Amazon online store does not currently offer international shipping. 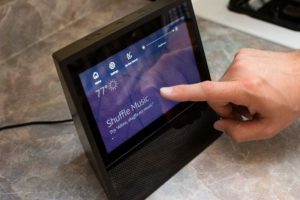 However, Big Apple Buddy, your personal shopper, can help you buy products direct from the official USA Amazon online store and ship them to your doorstep, no matter where you are in the world. We offer international shipping to all cities in Australia including Sydney, Melbourne, Brisbane, Perth, Adelaide, Hobart, Darwin, Cairnes, Gold Coast, Canberra, Geelong, Newcastle, Launceston, Mackay and many more! 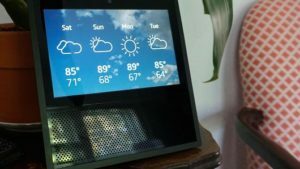 At this point, Amazon representatives have not yet stated a release date for the Amazon Echo Show in Australia (though as far as we can tell, it may not happen for a long time, as Amazon has not even released the Echo or Echo Dot in Australia). The price at US$230 is approximately AU$315. 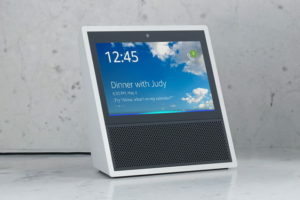 If you would like to buy the Amazon Echo Show from the USA, simply get in touch with us for a shipping quote today. We’ll get back to you with a free quote within 24 hours!